Outdoors enthusiasts, and anyone looking for self-defense weapons knows that the right knife will make all the difference in both safety and utility. 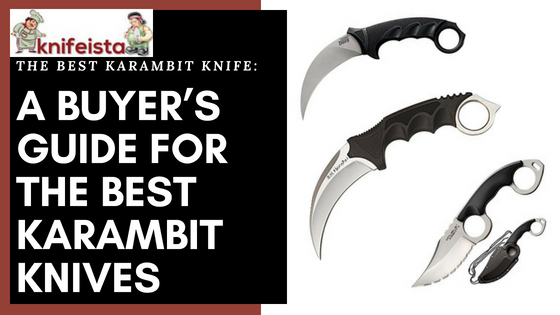 You might want to look at the best Karambit knives on this review. A weak blade, awkward grip, or shoddy craftsmanship can destroy the benefits of owning a knife at all. At best, you’ll not be able to cut the fishing wire on your tangled rod. At worst, a bad knife can leave you exposed to the attacks of an enemy. So, if you’re in the market for a self-defense weapon, or utility knife, you’re going to do your research and find the right knife. To help you in that process, we thought we’d examine the best Karambit knife offerings - in high quality, moderately priced options. First, we’ll start with some questions to ask yourself before you buy your first self-defense knife. Who is Using the Karambit Knife? How to Use the Best Karambit Knife? 1. 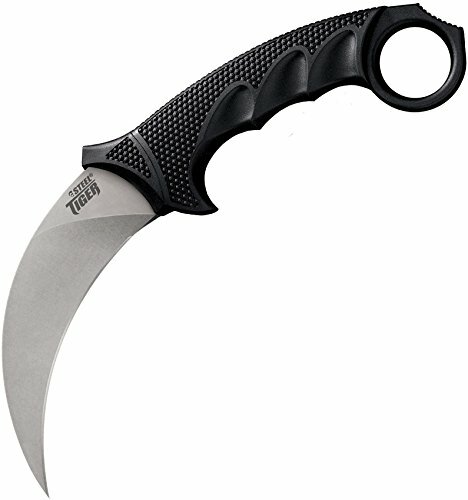 Cold Steel 49KST Steel Tiger Karambit Fixed 4.75"
2. 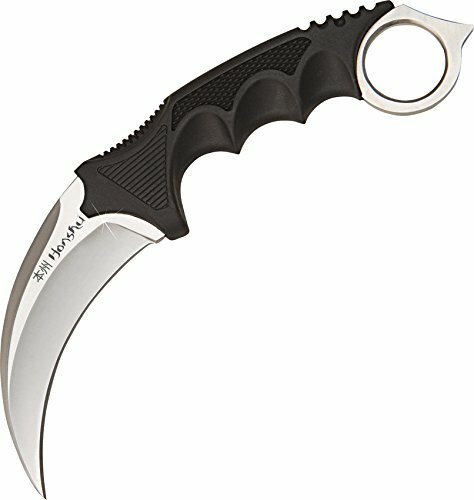 Cold Steel 39FK Double Agent I Karambit 3"
​3. United Cutlery Honshu Karambit 4"
Which is the Best Karambit Blade? Trying to find the right knife for you can be a daunting task with so many options available. 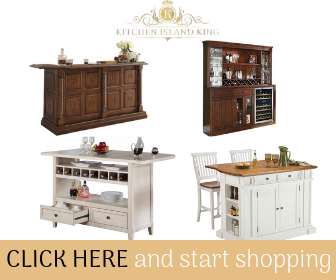 If you are just beginning the search it is easy to get overwhelmed by the choices. What is your need for the knife? What is your current skill level with knives? How much training are you willing to invest in? What are your personal preferences with knives? Are you prepared for legal consequences of defending yourself with a knife? After you determine the answer to these questions, you should have a better idea of what kind of knife would work best for your needs. Is the knife legal to own where you live? Can you hold the knife with numerous grips? Do you need a fixed blade or a folding knife? Will the knife be for home use or carrying on your person? Does the knife fit your hand properly? How easily can you hold it? Can you quick draw the knife with ease and safety? But since you are looking at Karambit knives, the best question to ask is which is the best Karambit knife for you? A Karambit knife is a small, almost claw-like knife that finds its origins from Southeast Asia. The origin of this knife is the Minangkabau people of West Sumatra. It began life as an agricultural implement designed to rake roots and to be used for gathering, threshing, and planting rice. As the Karambit became adapted for warfare it became more curved - to become more effective at cutting. This weapon became widely spread through neighboring countries thanks in part to Indonesia’s trade network. Some of the countries that ended up adopting the Karambit knife include present-day Thailand, Myanmar, Laos, the Philippines, and Cambodia. Today the knife is used as the main weapon in the martial arts forms of silat and in Filipino martial arts. There have been numerous western adaptations of the karambit, all of which have served to further remove it from its original use as an agricultural tool. Depending on the model, some of these changes can include folding blades, higher standard finishes, crafting from much more expensive materials, and a larger design than former versions. When held properly, they hold the best Karambit knife with the blade pointed in a downward direction from the bottom of the fist. The weapon is primarily intended to be used in a slash or hook motion. Some Karambits are made with a finger ring and they also use it in a punching type motion with the finger ring intending to hit the opponent. Others made the best Karambit in such a way to use it in a hammering motion. These diverse means of striking are the main reason the best Karambit knife is so useful for self-defense. Another advantage to using this knife is its finger guards, which make it much easier to hold onto in a fight. The finger guards also aide in maneuverability, making it much more difficult for an opponent to disarm the person holding the Karambit. Cold Steel 49KST Steel Tiger Karambit Fixed 4.75"
Cold Steel 39FK Double Agent I Karambit 3"
United Cutlery Honshu Karambit 4"
This is a Karambit whose retail price falls in the moderate price range and has received a four and a half star rating from reviewers. This particular version of the best karambit is advertised as being a completely modern update intended to be a tactical reinterpretation of the original version. The design of the Cold Steel 49KST Steel Tiger is a collaboration from duo team of both Lynn C Thompson and Steve Likarich. Ultimately this knife strives to take the best of the ancient weapon’s design and couple it with the best of the modern world so that you have a flawless weapon at your side. Other important details to note are that the blade itself is of “unparalleled quality,” according to users. It is an AUS-8 stainless steel blade that has been vacuum heat-treated and sub-zero quenched as well as taper ground. Additionally, the blade has received a high polish to ensure maximum cutting power, strength, performance, and edge retention. Also, the Grid-Ex core handle is a tough, durable handle that features a premium Kray-Ex polymer. Together these create a superb grip that is dependable, no matter how wet or cold your hands are. Included in the purchase is a military-style Secure-Ex sheath that they use to attach the knife to your gear, or to keep on your person with the removable belt or boot clip. Reviews for the knife say that the Steel Tiger is comfortable and easy to use. Several users point out that the blade itself comes sharp enough that they use it to shave. Those who were intending this knife as a self-defense weapon seemed to be incredibly pleased with their purchase and were confident that if they had to use this weapon in a fight the Steel Tiger would stand up to the fight. Criticism offered in the reviews are about the sheath and a lack of ability to set the index in different positions. A long-time user of this model of blade stated that the original version offered was a much better blade. Their chief disappointments revolved around the fact that the current version of the knife does not have as sharp of a tine. One user said that the knife that he received had a sharpening anomaly in the blade that was close to the handle. Another user complained that the included sheath is intended for use only by someone who is right-handed. Ultimately, though, the reviews confirm that the Steel Tiger is one of the best moderately price Karambit knives available. This best Karambit knife also received a 4 and a half out of five-star rating. Zach Whitson designed the knife to be both easy to conceal and comfortable to wear. The most distinctive and noted feature is the double ring handle design. The purpose of the double ring is for fitting the index and pinky fingers for either a forward or reverse grip. Whether a person is hacking, cutting, thrusting, or hammering with the Double Agent, the twin rings will ensure the blade stays in the hands and prevent the blade to wrest from someone’s grip. Reviews of the blade say that the blade itself is very sharp, sturdy, and light-weight, but strong. One user had been using the knife daily for landscaping over a series of weeks and had no problem sharing the blade back to shaving sharp as needed. Other users noted that the knife worked extremely well for using it with camping, fishing and general tasks around the home, like opening letters. 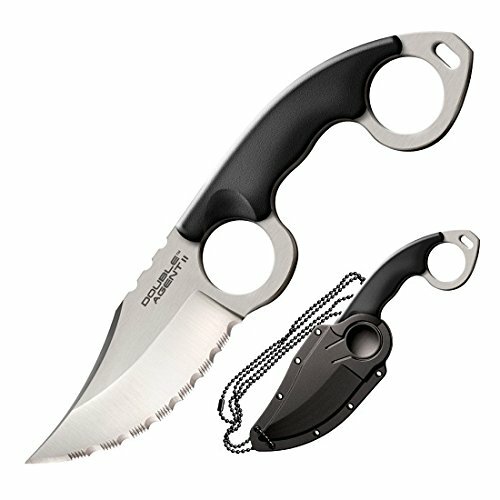 A number of civilians and active duty soldiers mentioned that they ordered the knife to be used for personal defense and were immensely satisfied with how the neck sheath worked. They felt that in an emergency situation they would be able to protect themselves. Those who were critical of the blade say that for smaller hands the finger rings will be too far apart. A criticism of the sheath is that they intend it for only hanging around the neck, and therefore difficult to use when putting the knife back in. There appears to be no way to connect the sheath to a belt or boot. Another problem with the sheath is that after initially drawing the blade, the holder cannot put the pointer finger in the hole, meaning the user will need to reposition the blade before use. This delay in the use of the knife is problematic for those interested in a knife with quickdraw qualities. A number of reviewers were satisfied with the grip and size of the blade but urged people who intended to use the knife as a concealed weapon to practice drawing the blade from the sheath in order to get used to how to handle it properly. One reviewer gave a warning that the knife they received did not match up with what was advertised. It is likely they received a counterfeit Double Agent. ​United Cutlery Honshu Karambit 4"
The United Cutlery Honshu Karambit 4" is a Karambit knife rated at four and a half stars out of five. It is a product of China, which is marked as an easy to conceal weapon for self-defense. They made the Honshu Karambit with solid stainless steel and a rubber contour handle that offers a superb grip. This knife includes a shoulder harness sheath for use in easy concealment. People who purchased this knife praise that the blade is well weighted. Both civilians and military who had purchased the blade for self-defense purposes found the quality of the blade appropriate. One reviewer, who is a novice learner at tactical knife use, mentioned getting great benefit out of training with the knife and was planning on purchasing more for his family to use for their personal defense. Criticisms offered on the Honshu Karambit is that the sheath will quickly wear down from extensive use. Multiple people complained of the blade needing to be sharp right out of the box, however, they found it easy enough to sharpen the blade. One experienced knife user mentioned that it’s important to make sure the size blade you purchase fits your hands. If you have the wrong size knife, you could injure yourself, and won’t be able to defend yourself very well. Based on the ratings from most users, it seems like the Honshu Karambit knife is a great fit for more experienced users, or those learning how to use a knife in self-defense. Of all the blades we reviewed they were all highly ranked with plus and downsides offered by consumers who purchased and utilized these knives in real life settings. Of the three reviewed, we’d estimate that the United Cutlery Honshu Karambit 4" has the best blade. The others are high quality as well, however, and should serve your purposes accordingly. Before making a purchase of any kind of weapon, always make sure that you know which types, and sizes of weapons are legal in your area. Also, make sure that any knife you buy will fit your hand and feel right in your grip. If possible, go into a local store to try handling a few different knives before settling on one. You may be able to find a better deal online, though, so be sure to look up prices before you go in person, in case the store is willing to do a price match. Is the Becker BK2 Right for You?